To misquote Elvis Costello, “What’s so funny ‘bout Peace, Love and” Innovation with a ‘Capital I’? The reason I ask is, well… it seems to be something of a contentious subject. But hey, for a blog, I reckon that’s a good thing. Its the Lindsay Lohan side of blogging… at least they’re talking about it! Seriously though, I have been really pleased to see the great number of people who are commenting on and discussing ‘Capital I’ Innovation, since the posting of Part 1 of this series last week. Apparently many readers are pleased that there is finally a ‘banner’ they can carry as they strive to stride forward. There have also been those who have felt it necessary to remind me that there is nothing wrong with ‘little i’ innovation – though their penchant for ‘kissing frogs’ is beyond me (do see Part 1 of this series for the outing of this particular ‘in’ joke) – I totally agree. There is absolutely nothing wrong with the ‘little i’s’, however, they’re not what gets my heart pumping. ‘Capital I’ Innovation is what gets my motor running; this has been the case for many year, irrespective of what genre the innovation comes from. Throughout my years in the media I consistently strove to find people who broke the mold, led the pack, moved their own particular mountains – and find them I did. I also found some common denominators between them. Though totally diverse, there are things that link these people, for instance, though at times daunting, they are compelled to tell their truths. Whether we want to hear it or not. Though many of them may not see themselves as business people, they are all certainly entrepreneurs – consciously or otherwise – and they steadfastly maintain and protect their ‘brands’. Some of them boldly go where no one has been before, and most of them are applauded for it. However, not all are popular for their decision to take ten steps forward, when one would, possibly, have been enough. Certainly a baby step would be easier to sell than the strides they often take. And yet this does not stop them, nor even slow them down. Whether they want the accolades or not, it should be noted that some of them may have even changed the way we see the world, if only in a small way. I believe that ‘Capital I’ innovators deserve recognition, not just for their innovations, but for the very fact that they have refused to bow down to banality and boredom while they avoid or ignore the labels thrust upon them – even if the label begins with a ‘Capital I’. Madelaine Albright – I was extremely fortunate to have been able to spend some time with this most gregarious and engaging, thought provoking and thoughtful woman. It came as no surprise to me that she would be erudite, informed and interesting; what was intriguing was the warmth she exudes and her infectious sense of humour, which was present throughout our interview. 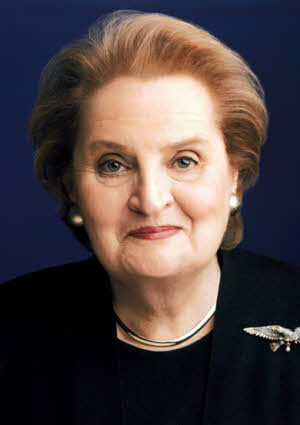 Ms. Albright was the first female American Secretary of State – and thus the highest ranking women in American political history during her tenure. She was certainly not born on an easy path to public service, as her personal life saw more than its share of turbulence. In 1939 she and her family escaped to London after Germany invaded Czechoslovakia; many Jewish members of her family who were not able to escape were killed in the Holocaust. 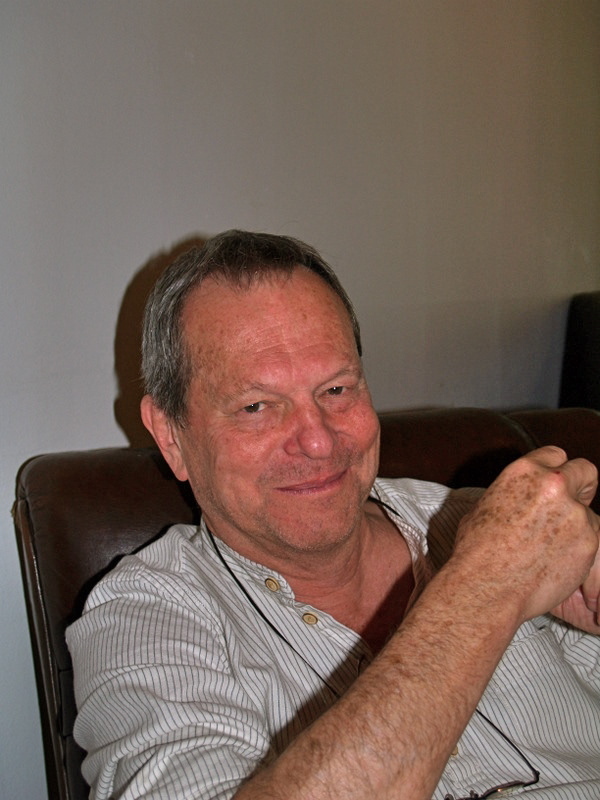 Terry Gilliam – I interviewed Terry the day after he had collected a Life Time Achievement Award at Amsterdam’s Fantastic Film Festival. As thought provoking as he is, I do believe I laughed more during this interview than any other, prior or since. The animated, animating genius of the UK’s Monty Python’s Flying Circus, Gilliam went on to direct some of the most memorable motion pictures of the last thirty years. Think: Monty Python and the Holy Grail (Excuses à l’avance pour notre fabuleux amis français! ), Time Bandits, Brazil, The Fisher King, Twelve Monkeys, and Fear and Loathing in Las Vegas starring Johnny Depp as the madly brilliant, or brilliantly mad, Hunter S. Thompson. Tom Wolfe – It’s only fitting that I follow Gilliam, who worked with HST (and from what I understand, it really did feel like a whole lotta work! ), with Tom Wolfe, ‘The Man in White’. When I met Mr. Wolfe, who did, yes, arrive in his ubiquitous, immaculate white suit, I had to continually remind myself that I was conducting an interview, and not having tea with one of the icons who, as a young woman, made me realize that I wanted to be a writer. An acclaimed novelist of such works as The Right Stuff, The Bonfire of the Vanities, and The Electric Kool-Aid Acid Test, Wolfe is also one of the originators, along with HST of Gonzo Journalism – which can be described as that which puts the cynical-eye in eye-witness. Brian Greene – Going from fiction to fact in one healthy swoop (unless of course you are a card carrying creationist from back-yeller-holler) this particular thought leader stands out for me in the realm of science. The renowned physicist and Pulitzer Prize finalist is finally bringing the theories from his book, The Fabric of the Cosmos, to a wider audience with a four-part miniseries for PBS in November. Perhaps because he truly believes that the majority of laymen share his thirst to understand the great ideas of science, Greene has found a way to explain these things – like using a loaf of sliced bread to explain wave particle duality §- using a language we can understand. Greene is able to impart his enthusiasm for subjects which, for most, may not be particularly palatable. He is able to speak the language that his listeners understand, thus, rather than speaking to me in terms common to Quantum physicists, he explained his ‘winding up’ of string theory in terms of poetry. We came to an agreement that, as in poetry – where often times the space between words is as important as the words themselves – with his theory, the space between the strings, is as important as the strings. Nitin Sawhney – Speaking of strings, and music in general, London based Nitin Sawney is a standard bearer at the forefront of building bridges between Eastern and Western artistic genres and communities. Regarded as one of the world’s most influential and creative talents, he is a walking crescendo of crossing cultures. Sawhney is a film producer, songwriter, DJ, acclaimed flamenco guitarist and jazz pianist; he has even created music for a Play Station 3 game. I met the sublime Sawnhey in 2006 in Amsterdam where he was conducting a symphony orchestra performing his composition for the 1929 silent movie, A throw of the Dice, alongside the screening of the film. 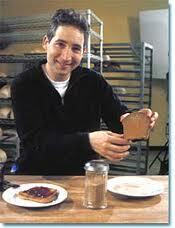 Eric Staller – live performances are what the installations of artist/inventor Eric Staller are all about. Light and bikes are two common threads in Eric’s work, and my time with him was during his performance for the city of Amsterdam, with his mobile public artwork the PeaceTank. Seven masked and costumed riders toured the city on one of Staller’s circular ConferenceBikes. 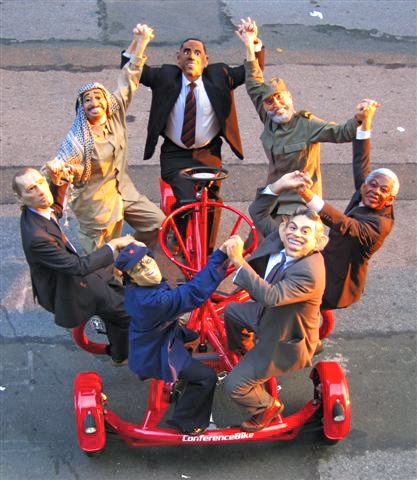 The team was led by a symbolic Barack Obama (prior to his election) steering the PeaceTank, while past and present world leaders helped to power the pedals, contributing to the forward motion and the tour of the city. Staller believes in change. 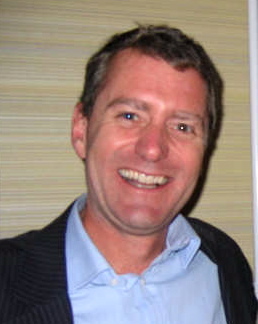 John Wood – I cannot have a list such as this, without including a man who is all about change. The author of Leaving Microsoft to Change the World, which he did, Wood changed his life –and was soon to change the course of a myriad more lives. This change followed a 1998 trekking holiday through Nepal, where he became aware of the absolute lack of educational resources available there. He determined to build an international organization to work with villages in the developing world to meet the educational needs of villages and villagers. With the help of a committed group of global volunteers, Wood created the award winning charity, Room to Read. The Room to Read business model includes measured, sustainable results, low–overhead and Challenge Grants cultivating community ownership, along with strong local staff and partnerships. Perhaps most importantly, it is inculcated with the GST attitude (Get Sh*t Done). When I first met Wood, in 2005, in his role as part Dr. Seuss and part Andrew Carnegie – the Scottish philanthropist who built 2,500 libraries throughout the U.S. – Wood explained his long term goals to me. He wanted Room to Read to have opened 5,000 libraries by the end of 2007, and long-term, to have provide educational access to 10 million children in the developing world by 2020. In later meetings he upped the ante stating that he wanted to have reached his target of 10 million children by 2015. Room to Read is well on its way to not only meeting, but surpassing those targets. By the end of Q1 2011 Room to Read’s accomplishments included: having built more than 1,400 schools and 11,000 libraries; they have published more than 553 Local Language Books, distributed more than 9 millions books, given more than 10,500 Girls’ scholarships and benefitted the lives of more than 5 million children. Now that’s GingSD on a monumental scale! Thoughts of all of these inspiring innovative men and women make it particularly pleasant for me to, with today’s post, announce the launch of a new interview series, ‘The Capital I Interviews’. These interview subjects come from a wide range of industries and crafts. They include technologists, futurists, artists and artisans, business leaders, market changers, venerated vintners, garrulous gastronomes as well as the great unwashed and underutilized. The group includes individuals who work in all types of circumstances, be they lone-wolves, or part of SMEs, large organizations or institutions. They are part of the public sector, the private sector. The only requisite is that ‘Capital I’. Does Innovation have a nation? If you think we’ve missed something – don’t hesitate to let us know by posting a comment here. I hope you join me in celebrating their successes, supporting them in their attempts, and standing together in our determination to move forward – together. This entry was posted in 'Capital I' Innovation, Innovation, Technology and tagged ‘Capital I’ Innovation, Brian Greene, Cloud Tech, Digital Economy, eBusiness, eHealth, Elvis Costello, entrepreneurship, Eric Staller, Flat World, global business, John Wood, Madelaine Albright, Monty Python, Nitin Sawhney, Semantic Web, Technology, Terry Gilliam, Tom Wolfe, Web 3.0. Bookmark the permalink. I have someone that would be a great interview for you! Admiring the time and effort youu put into your site and detailed information you provide. It’s nice to come across a blog every once in a while tyat isn’t the same unwanted rehaashed information. Fantastic read!